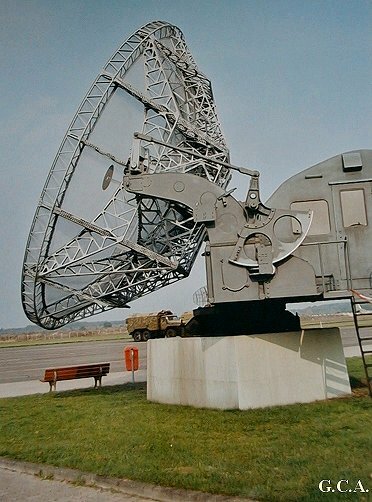 Since 1947, the former Physics Laboratory RVO-TNO in The Hague, the Netherlands owned a large radar antenna that was previously built and used by the Germans during the Second World War. Below we first describe the background of the Funk-Messgerät 65 Würzburg-Riese antenna, then how TNO used this antenna, and where the antenna is now installed. The German radar systems were designed in the 1930s according to a standardised system with a short war period in mind. The result of these developments was that most radar systems (‘Funk-Messgeräte’) in Germany could only be used by the artillery. Later, these systems were also used for air force use such as aircraft detection and interception. The German radar systems all worked at long and medium wave frequencies (2.6 m to 53 cm wavelengths). The development of the Würzburg radar began in 1936. 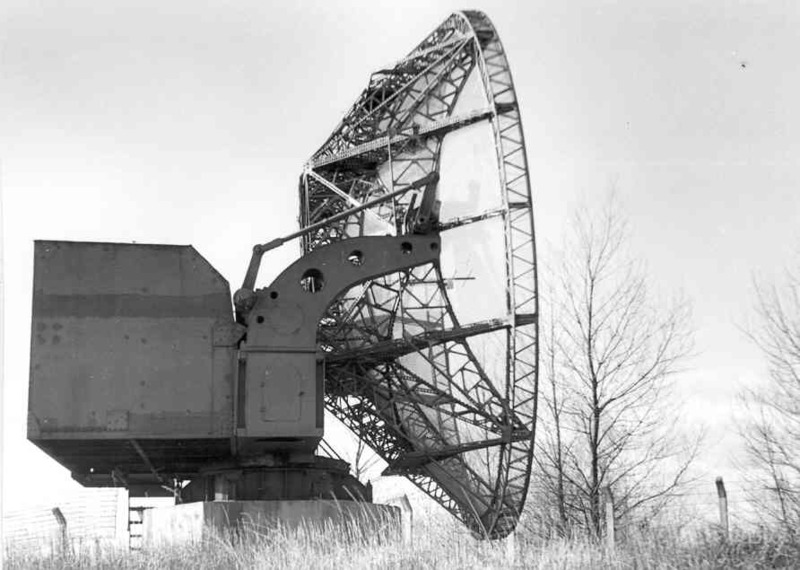 The Würzburg A-type radar was deployed from 1940 onwards. A year later it was succeeded by the type Würzburg C and the Würzburg-Riese which had a parabolic antenna of 7.5 meters in diameter. These devices operated at 566.0377 MHz (53 cm wavelength) except for the Würzburg C type operating at 476.1905 MHz (63 cm wavelength). These radars could provide the data for height, distance and bearing (scope). However, the range was not large (about 40 kilometres for the Würzburg-A and C types and over 80 kilometres for the Riese type) but the accuracy was good (0.20 degree for bearing and elevation, and 125 meters for the distance). For a simultaneous working Würzburg A-type installation, the diagram of the transmission section is shown below. Simultaneous here means the use of one antenna for both receiving and sending with one system. A transmit pulse of 3750 Hz with a power of 8 kW was generated with this transmitter at a frequency of 565 MHz. Below is the block diagram of the receiver of a Funk-Messgerät 65 Würzburg-Riese installation. The receiving dipole was rotated at the focal point of the parabolic antenna of approximately 7.5 m diameter. The figures below show the correct and incorrect alignment for the distance, the height and the bearing of the target on the individual cathode-ray tubes in the system. The last figure also shows how the correct data of the target can be obtained. 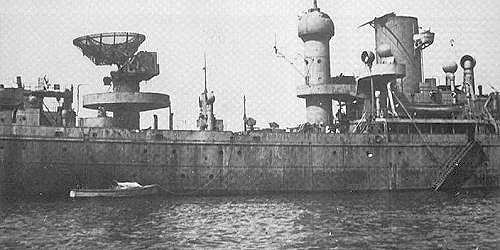 With the Würzburg-Riese placed on a ship (Nachtjagdleitschiff = NJL “TOGO”) this ship became one of the world’s first radar ships (for more information about the TOGO, see 1, 2, 3). The Germans soon had a ground-breaking interception system that could register all flight movements to Germany. Each station in this system covered a certain area and stood at 40 to 80 km from the next station. The Würzburg-Riese radar systems formed the backbone of German air defence, first only for the support of the FLAK guns (Flieger Abwehr Kanone) in combination with searchlights, later for the interception. Two Würzburg-Riese radar systems were always used to follow the enemy bomber and the private fighter plane. The Würzburg for its own fighter plane received the recognition signals from the IFF system (Identification Friend or Foe) of this aircraft. After the end of the Second World War, all German installations on the territory of the occupied nations fell into the hands of these nations as spoils of war. Similarly the German radar installations. For various authorities, these installations provided a welcome addition to the re-launch of electronic research. In 1947, the Rozenburg Würzburg-Riese antenna was lifted from its pedestal and transported to the Vlakte van Waalsdorp and placed along the access road to the Physics Laboratory RVO-TNO. In the context of the international geophysical year, which ran from 1 July 1957 to 31 December 1958, a troposcatter radio connection with a transmitter on the island of Tromsö in Norway was realised, a distance of more than 800 kilometres. 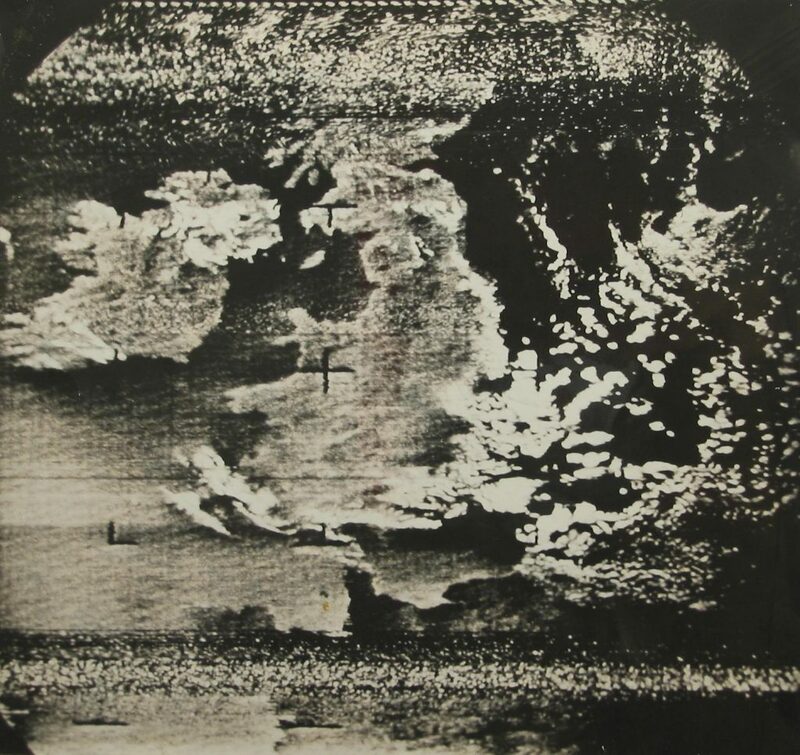 Radio wave reflections were used here against the boundary layer of the troposphere at about 11 kilometres above the earth. The antenna of the transmitter was composed of 120 individual dipole antennas (12 x 10) for a frequency of 150.9 MHz suitable for a transmission power of 4 kW. The 28.5 dB antenna gain meant that 2.3 MW became available in the centre of this transmitting antenna. An amplitude modulated simple pattern of RYRY characters was received by TNO’s Würzburg-Riese arrangement and was made audible. By participating in an experiment to determine the global propagation beyond the radio horizon, TNO’s Würzburg-Riese receiver also found that the attenuation was 10 dB per 20 kilometres at a frequency of 150.9 MHz. 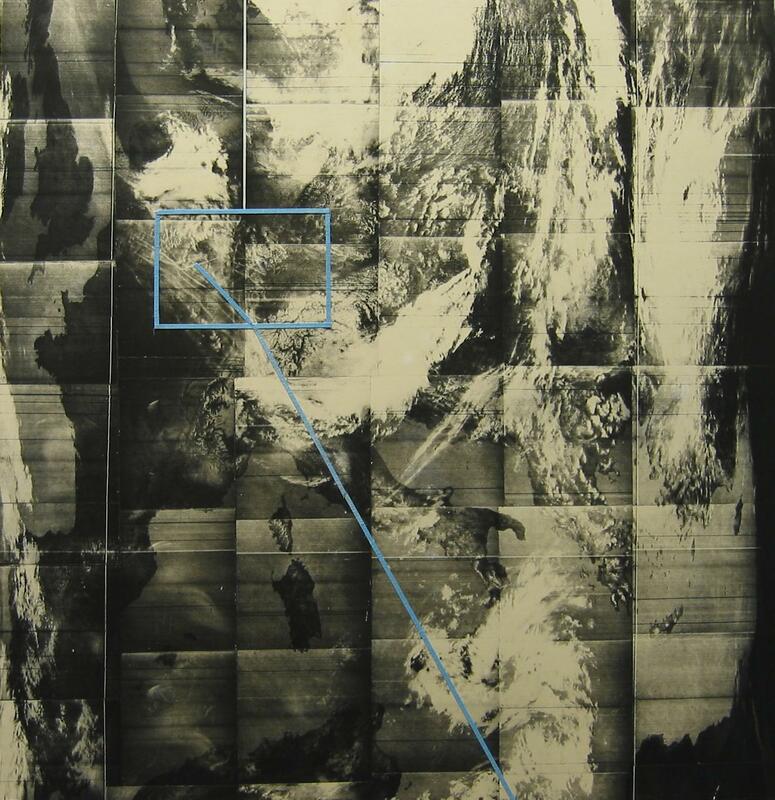 On August 31, 1964 the reception in the Netherlands of the first images of the earth was realized with the Würzburg-Riese antenna. The images were broadcast by the American satellite NIMBUS-1. At the top and bottom of the photo, there was interference in the received signal. This was either caused by the disappearing behind the horizon or the disappearance of the polar satellite NIMBUS 1, which moved at 1,000 kilometres altitude over the poles of the earth. In addition to investigating the different layers of air around the earth as a possible medium for radio communication, the moon was also investigated in the sixties of the last century as a possible reflector for radio waves. On July 24, 1965, an employee of TNO managed to connect via the moon to a radio station in the United States. With a self-built transmitter on the 70 cm wavelength and as receiver the Würzburg-Riese antenna from TNO, he succeeded in realising the connection with this amateur radio station. In the field of radar, the Americans had already preceded us with the use of the moon as a reflector. In September 1945, a project called “project Diana” was started to develop a radar system capable of transmitting radio impulses to the moon and detecting the echoes after more than two seconds. With 0.25 second pulses at a frequency of 111.5 MHz and a peak power equivalent to 3,000 watts during this 0.25 second the connection was established. In July 1965, the moon served as a reflector of the Würtzburg-Riese antenna to transport a radio signal with the frequency of 435 MHz over a distance of 770,000 km establishing a telegraph connection with Puerto Rico. 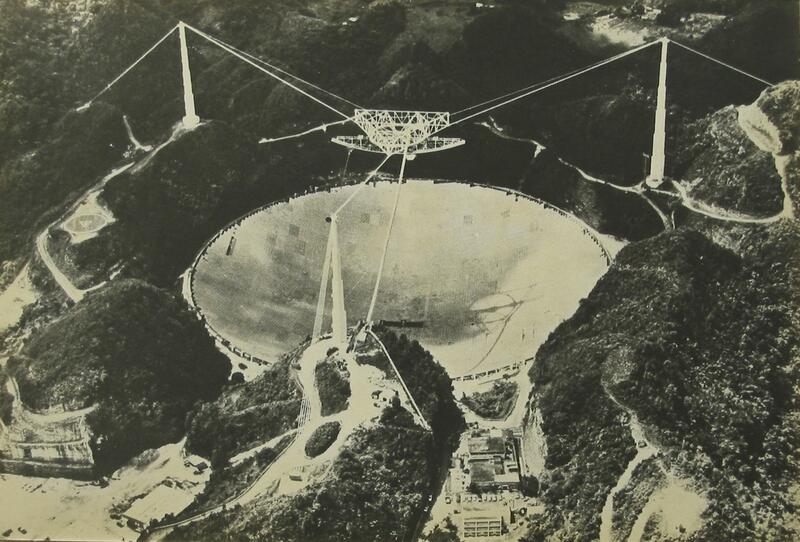 The 330 m diameter reflector of the ARECIBO Observatory in Puerto Rico served as a counter station. The received power there was only one-tenth to one-twenty-fifth part of the radiated power. With the help of various other military satellites, connections were maintained with the other NATO countries in Europe. But also with navy vessels, such as an American naval ship near Hawaii, contact was made with the Würzburg-Riese installation as Dutch transceiver. In 1977, after being used for three decades as a hub for radio communication by TNO, the antenna was disassembled. The parts were then taken to the Luftwaffenmuseum of the Bundeswehr at the airport Uetersen near Appen, which later merged into the military historical museum at the former British airport Gatow near Berlin. There the Würzburg-Riese parabolic antenna has been restored and put on display. By TNO there were also special modifications made: the windows of the cabin were replaced by windows from a bus. Ventilation openings were also installed with ventilators behind it. 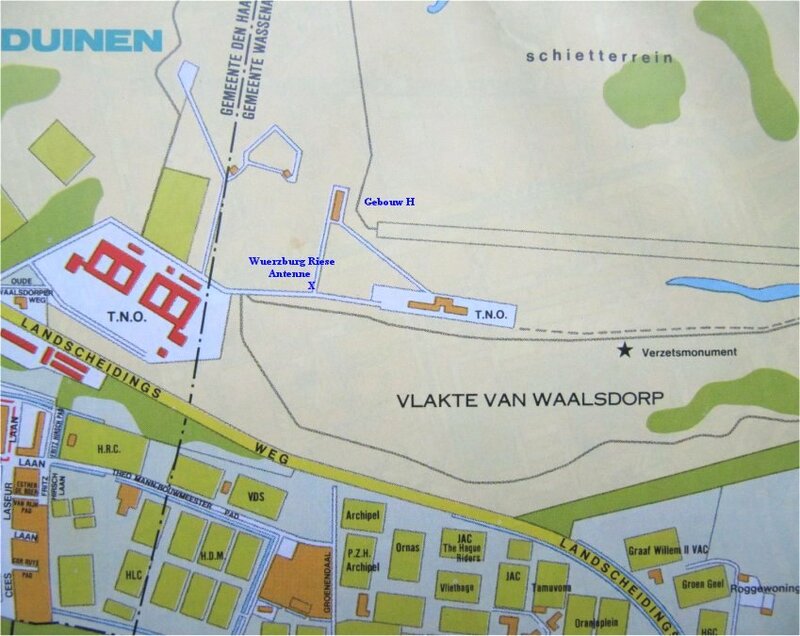 In the summer on the Plain of Waalsdorp it could get pretty hot due to the reflecting dune sand around it. A part of the reflector was also replaced by TNO. The aluminium strips of the reflector, secured with iron bolts, were subject to considerable corrosion due to the potential difference of the metals in the salt air so close to the sea. Militär Historisches Museum Berlin-Gatow, Kladower Damm 182, D-14089 Berlin.